As you celebrate your commitment to marry, if your are Greek, you can also celebrate your heritage by following Greek engagement traditions. These customs, many of them centuries old, provide a special way to include your family and community in your happiness. Whether or not you have Greek ancestry, you're probably aware a lot goes into planning a Greek wedding and engagement. If you've seen the film, My Big Fat Greek Wedding, you have some idea about the complexity of a Greek wedding ceremony. But what about the engagement itself? Tradition is very important during this time as well. Here are some of the most important and memorable Greek engagement traditions. You may want to include some of these customs in your celebration. In traditional Greek society, it's very important for a couple to become engaged, rather than simply eloping. This engagement period is the time when the two families can become acquainted. These days, the length of the engagement period may vary depending on the couple's circumstances, but the importance of engagement has not changed over time. Today, most American couples simply agree to marry when they feel ready. This is not so in a traditional Greek engagement. The man must ask the woman's father for her hand in marriage. This often means the man must establish a relationship with the woman's family before he considers speaking to her father about getting married. 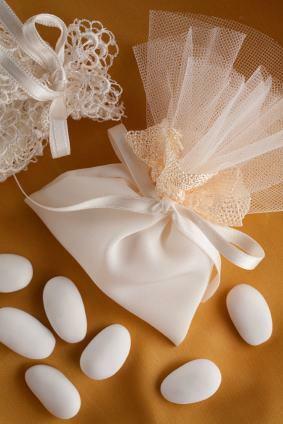 In traditional Greek culture, a bride often has a dowry. This dowry consists mostly of linens made by the bride and the women of her family. Typical items include towels, sheets, table linens, and other necessities. Often, the father of the bride includes a furnished home for the couple. This custom has mainly gone out of favor in recent years, but it is still practiced by some very traditional families. Religion plays an important role in Greek culture. Before they can marry, a Greek couple must conduct three visits with the priest. At each visit, they will receive counseling related to the upcoming marriage. While the couple is typically planning a wedding at this time, they are not considered fully engaged until the priest has agreed to the union. After a couple has received the priest's blessing, the families often hold a large engagement party. The priest will sometimes attend this event and publicly bless the engagement rings. After the couple receives this public blessing, friends and family gather around, shouting out good wishes for the couple. In most cultures, there is a custom of keeping the bride hidden on the day of the wedding. In traditional Greek engagements, this is very important. It's considered bad luck for the marriage, if the groom sees the bride before the marriage ceremony. This custom may stem from the idea that most Ancient Greek marriages were arranged. Incorporating Greek engagement traditions into your pre-wedding festivities is a great way to honor your family and your heritage. Have fun planning your wedding!